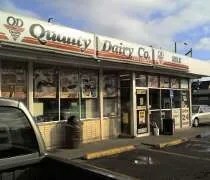 Quality Dairy – W. Saginaw Hwy & Migaldi Ln. It’s been another five weeks, so while J was at the salon, I was running errands. For once, I actually had a lot that I needed to do. I’ve been putting off a lot just so I could keep busy. My route today was Walmart, Game Stop, Cartridge World, Target, Meijer then off to lunch. After my first two stops, I started to get thirsty. It was 12:30 and I had yet to have my morning Pepsi. As I was leaving the Walmart area, I remembered there was a QD just down the street so I took a left instead of a right and went to get my Pepsi. 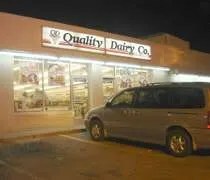 This Quality Dairy is on West Saginaw Highway west of I-69. It’s near the Art Van on that side of the road across from where Menard’s and Walmart are. This store is one of the Quality Dairy’s that have a gas station out front. My tour of Quality Dairy’s continue. One of these days, I’m going to make it to all of them. It’s just one of those stupid things that I do. Once I get started, there’s no stopping me. I was out in the Delta Township area killing time as J was getting her haircut. I had to make a trip downtown after I dropped her off, but on my way back, I finally stopped to get a pop. Most people need coffee in the morning to get going. Not me. I need a pop. If I had things my way, it would be a Pepsi. When I’m at home, it’s Coke Zero. Since I was out, it was going to be a Pepsi. 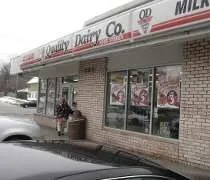 This Quality Dairy is on the corner of Saginaw Highway and Robins Road in Delta Township. Getting in is a little tricky as the store sits on a corner and the parking lot is pretty small. 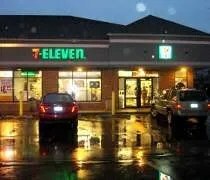 The inside of the store is typical convenience store layout. The ice cream counter is right near the door and the fountain pop is right across from that. I grabbed a plastic cup and filled it up with Pepsi. mmmmmm……Pepsi. I still miss my Circle K. The same size pop costs only $0.69 there. At QD, the 32 oz. costs $1.05. It’s still much better than buying a bottle. 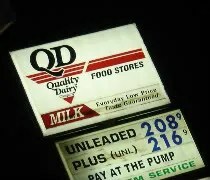 The Quality Dairy on Michigan and Harrison in East Lansing. 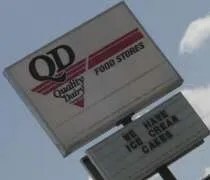 I’m having a hard time driving past a QD nowadays. I left McDonald’s with two sandwiches and nothing to drink. I knew I could go back the way I came and find a Quality Dairy and get whatever I wanted to drink. 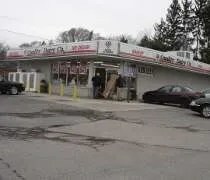 This Quality Dairy is on the corner of Harrison and Michigan Avenue in East Lansing near the Michigan State University athletic facilities. Getting in to the parking lot is a little weird. If you’re on Michigan Avenue, you turn into the lot on what looks like a sidewalk. It’s so close to the corner, you wouldn’t think there would be a driveway there.